One of our favorite restaurants in Dallas is in this tiny Italian restaurant called Lucia. Its tucked away in a historical house in the Bishop Arts District in Dallas. Their menu changes daily, depending on the ingredients in season and available in the kitchen. Its almost impossible to get a reservation out here, unless you plan it far out. But they do a few chairs, near their kitchen counter which are available for walk in. This past year we decided to go there for Roshan’s birthday! We decided to get there sharp at 5:30pm, when they open up and get one of the walk-in tables. We really enjoy sitting at their kitchen counter, there is usually someone behind putting together some fresh salads or antipasti which is quite an amazing sight to see! On this particular visit to Lucia, we order a roasted beet salad topped with a pistachio pesto. We saw the chef behind the counter make the pistachio pesto fresh from scratch in a mortar pestle and boy did it smell amazing with all the fresh herbs. The salad was fabulous and the pistachio pesto was definitely the star! 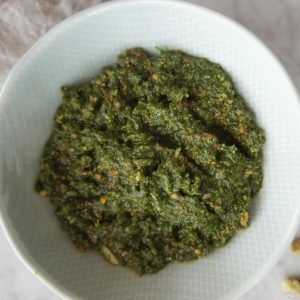 That was my first time trying a pistachio pesto, and there was no looking back! 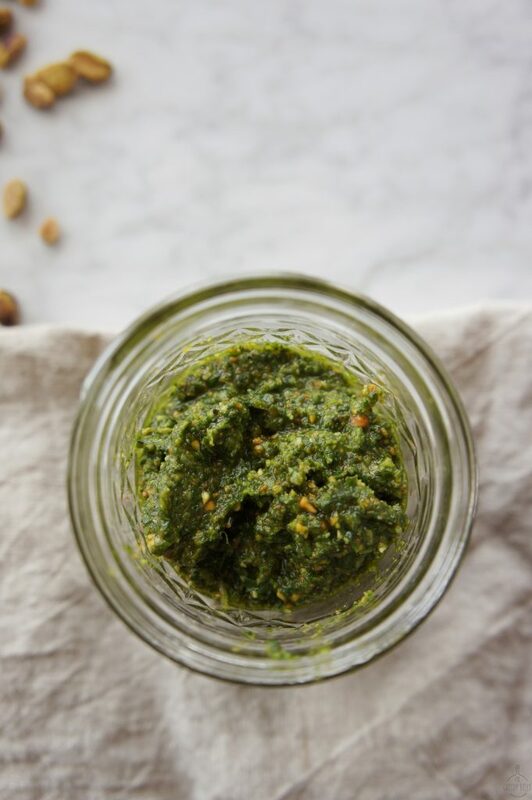 Who doesn’t love a good pesto??? It’s delicious and so versatile. You can use it as spread in sandwiches, as a sauce for pasta and risotto, as a dip with some warm bread, or even in a salad. 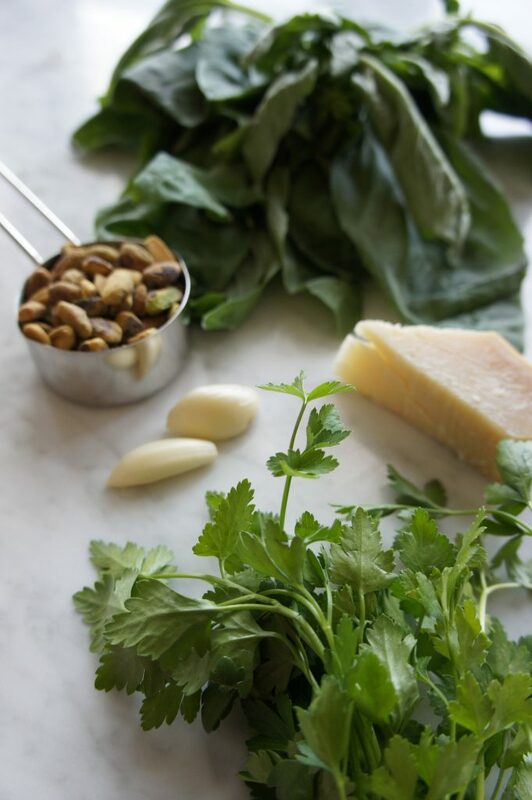 A traditional pesto is made with basil, garlic, olive oil, pine nuts and parmigiano reggiano cheese. 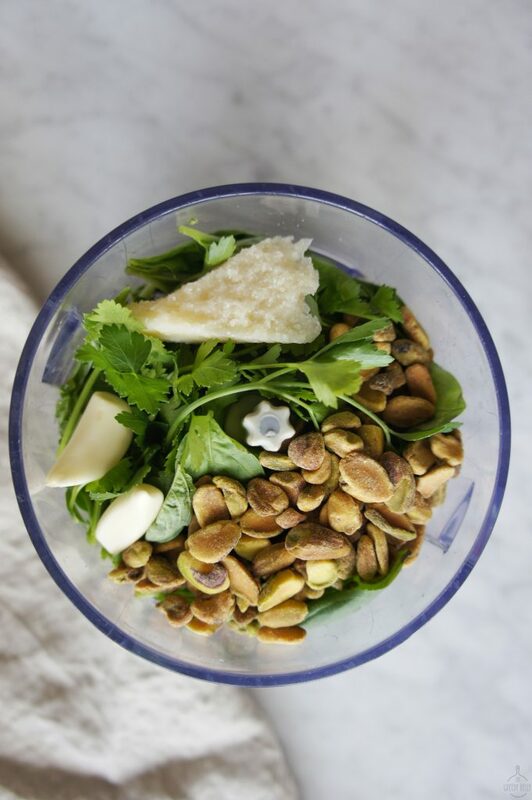 In this recipe I swapped the pine nuts for pistachio and I also added some fresh parsley along with the basil. Its a one step recipe but it goes such a long way. You can make a big batch and use it for multiple recipes throughout the week. Wonderful, herb-y, garlicky goodness! 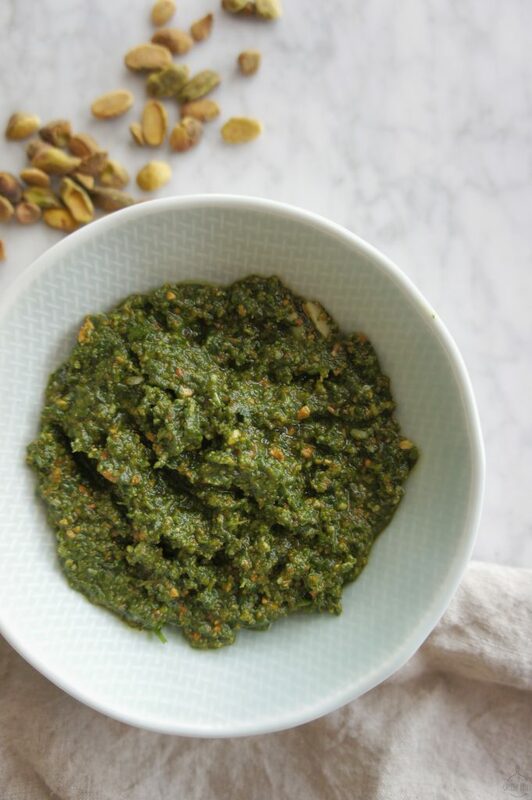 You are going to add this pistachio pesto to everything to you make! 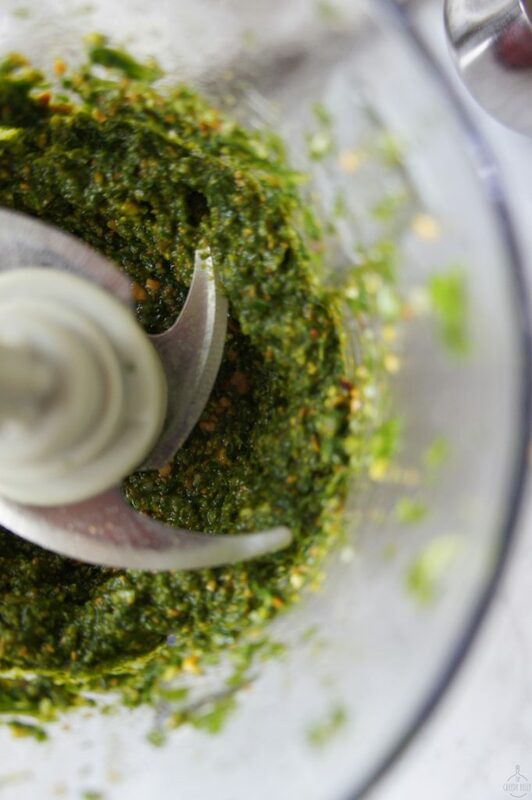 Place the basil, parsley, pistachio, garlic, cheese, salt and pepper together in a food processor and pulse together. Add to pasta, sandwich, salad or store in an air tight container in the freezer for up to 8 weeks.